Volunteers, mentors, mentees, philanthropists, big and small businesses, individuals, all come together to make what Stoked does come alive. Through Skate, Snow and Surf boards, being involved with Stoked means learning a lot and helping a whole generation of kids find their way. Roarockit supplies Stoked with the technology and materials to build their own boards from scratch. And we are STOKED to be part of the history! The coaches take a break from teaching to pose with Roarockit. 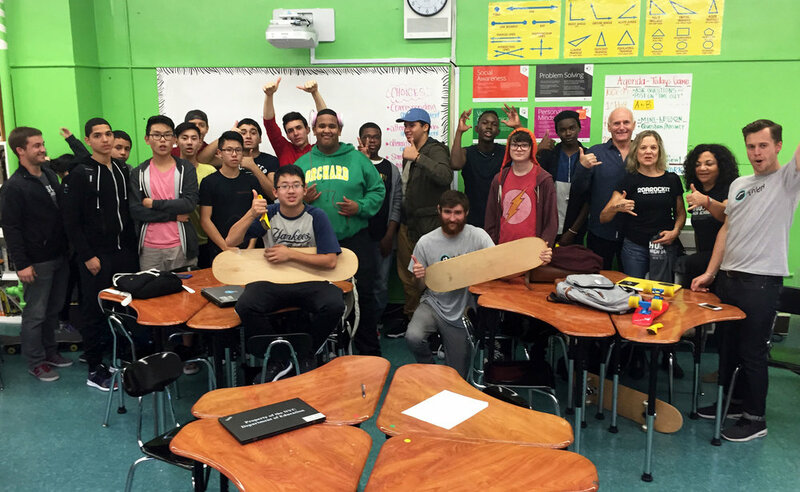 Hudson High School welcomed Roarockit with open arms! Ted sharing the science of vacuum to both the principal and the students. 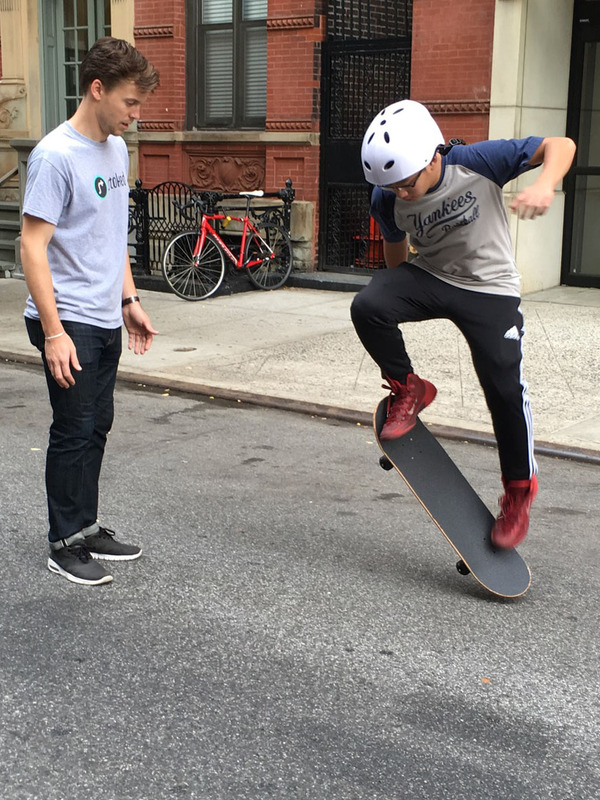 As the school doesn't have a skatepark, Stoked asked a nearby residential street to stop car traffic for an hour each day so the students have a place to skate. Walter Brown and his class show their Stoke!